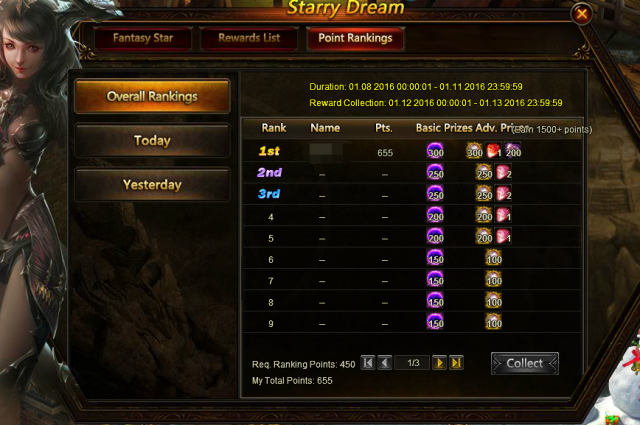 Description: Let's continue to enjoy the new Starry Dream, which has been optimized. 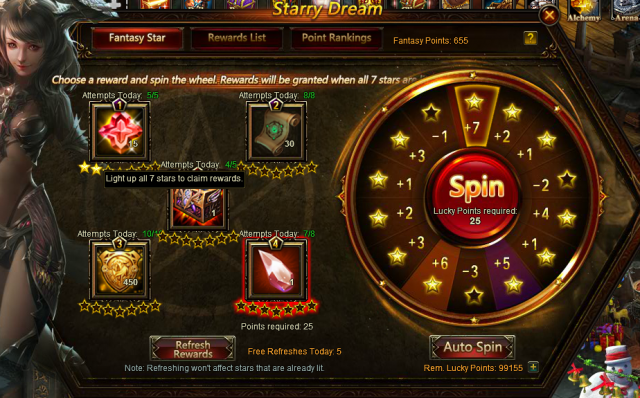 Firstly, we change the free lucky points from 10 to 20 per day, and the max vouchers used from 20 to 80; Secondly, we decrease the rate of getting negative stars, which means you can get rewards easily. Bat Wings, Royal's Mark, Lvl.75 Fire Element Core, Khaos Core, Spiritsoul Totem Chest(Garnet), Grotto Heart, Sterling Moonbeam, Lvl. 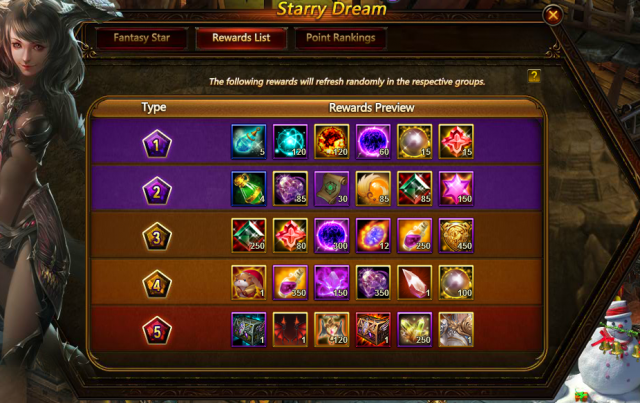 9 Crit Damage Gem and more will appear in Reward List. 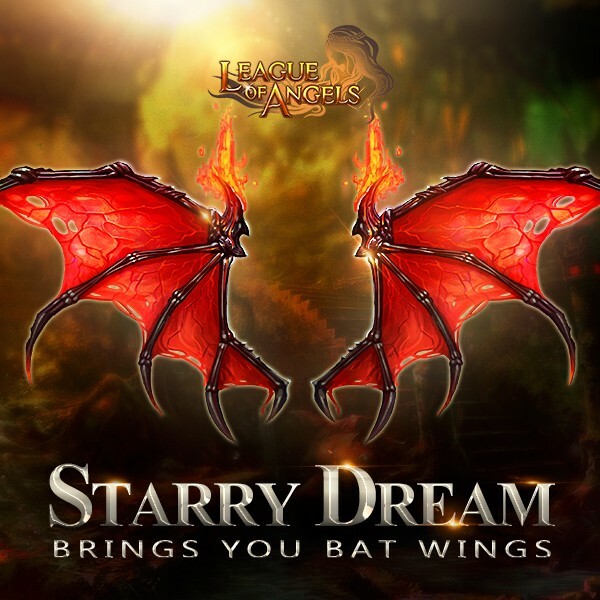 This time Starry Dream brings you Bat Wings, Royal's Mark, Lvl.75 Fire Element Core, Khaos Core, Spiritsoul Totem Chest(Garnet), Grotto Heart, Sterling Moonbeam, Lvl. 9 Crit Damage Gem Angel Tears, Purgatory Soul, Element Scroll, Spring of Wisdom, Energy Vitamin and many other items. More exciting events are coming up through Jan 8 to Jan 11 (Server Time), check them out in the in-game Hot Events menu now!